Five Grey provides our clients with custom brand and online marketing strategy that supports and grows their business. We start by taking the time to learn your brand, products, and services. Our initial consultation reviews your current brand and marketing strategy and identifies opportunities for creative expansion. Five Grey treats your business as our business and uses a result-oriented approach to develop campaigns and promotions. Marketing strategy is more than a well designed website and high-quality printed materials—it is a holistic plan to achieve brand and business goals. Our creative consultation begins with a thorough review of your current marketing and brand strategy. From your website to your branded promotions, we take a consumer-centric approach to truly understand how your acquire and retain customers. Our discussion takes in a historic overview of successful campaigns and a forward thinking roadmap of your professional and business goals. Knowing your brand and business enables us to develop thoughtful marketing campaigns and promotions that exceed expectations. Knowledge grounded in your business’ specific metrics and industry best practices generates custom solutions for your brand strategy. We review your website for both user experience and digital performance. Our expert analysis includes site architecture, content, imagery, navigation, and user interface (UI). Five Grey also conducts natural search audits to determine search engine optimization (SEO) opportunities. Our team looks beyond your website and reviews your social media profiles, marketing, and engagement. Your digital presence is more than just your website—it is your entire online experience. We use competitive analysis to ensure we fully understand your brand, your industry, and the most effective marketing and strategies. Our findings help us to inform and differentiate your business, while ensuring that what we plan and design is on target and unique. Five Grey uses competitive analysis to ensure that your marketing and brand strategy delivers results. Following our creative consultation, digital marketing analysis, and competitive analysis, we begin our IA development. We prioritize key messaging, content hierarchy, consumer experience, features, business functions etc. Your custom IA serves to build a website structure that is easily navigable and intuitive. 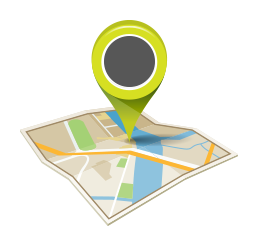 Sitemaps are generally the first output and become the foundation for your website design and development. Your sitemap guides wireframing and prototyping to produce a series of creative concepts and strategies. Five Grey will present you with a variety of options that meet your brand’s strategic goals and support future marketing initiatives.